*This book contains mature subject matter and is not intended for those under 17 years of age. *Jessica Harper is the epitome of perfection. She’s a good daughter, makes excellent grades, and always strays on the safe side of life. The last thing she thought would ever happen was falling in love with her best friend’s brother. But sometimes fate just has a way of bringing two people together.Wide receiver for the University of Arizona, Gabe Garcia, seems to have it all. When his feelings for Jessica come to surface, Gabe will give up everything to be with her. But what happens when a tragedy abruptly changes the course of your life? For Jessica and Gabe, everything they thought they knew about each other will be questioned. Sometimes, there are scars in life that are cut too deep to completely heal. 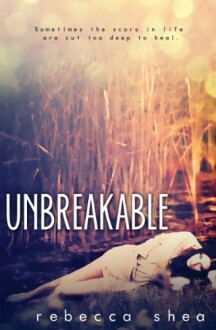 Will their love prove to be unbreakable, or will it shatter and prove fate is just another lie? http://leahsbookishobsession.booklikes.com Leah's Bookish Obsession 3.5 "Live so that you may live"
text "Live so that you may live"
4.5 STARS. I don't know if I loved emotional Babe forbade boy Landon more.